Boston United v Chorley, football action. 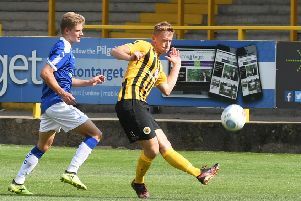 Boston United were beaten 2-0 by National League North table toppers Chorley on Saturday. 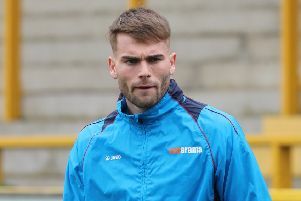 Pilgrims stopper George Willis saved a penalty in a game of two red cards.